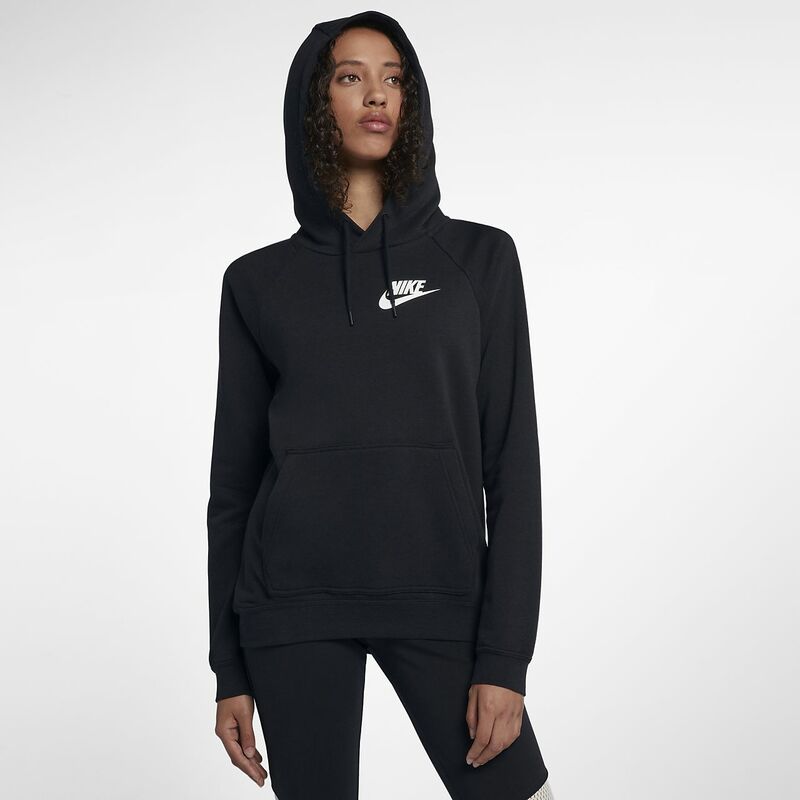 The Nike Sportswear Rally Women&apos;s Hoodie features soft fleece and an adjustable hood to help keep you warm and comfortably covered. Nice but head hole a bit small! very nice but tight to get my head through because the head hole is a bit tight. Bought it and love it. Wear it all the time it’s so comfortable. I bought the light grey version of this hoodie about a month ago and instantly wanted to buy another one. I love that it doesn’t feel too tight, but it’s actually somewhat form-fitting and looks quite flattering. The neck hole doesn’t choke me like so many other hoodies do, which also makes it so much easier to get on and off. And then there’s the fabric - this material is SO soft on the inside and the outside. Oh, and within a few weeks I did end up buying another one. I didn’t use to wear hoodies much, but now I practically live in these things.